It is well-documented that young athletes should not be specializing early in any one sport. Baseball is an often-cited culprit, as the repetitive stresses of throwing accumulate much faster with players who specialize and only play baseball. These players end up playing most of the year, never giving their body the rest it needs nor the unique stresses and stimuli that other sports can provide. …but we know all this, right? 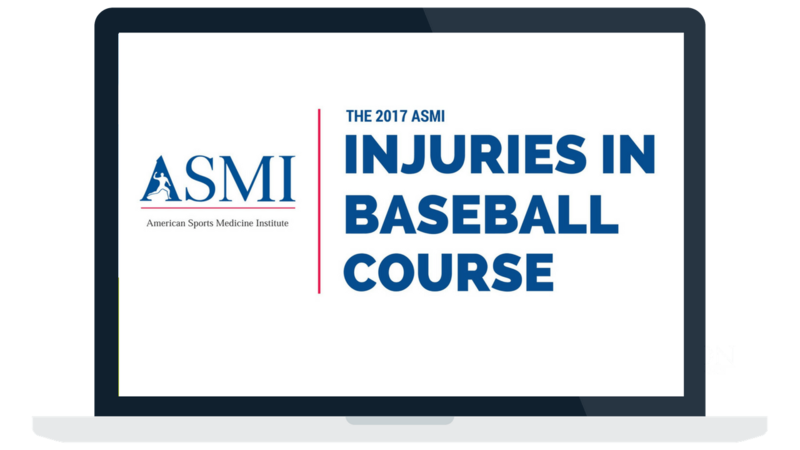 It’s well-documented that early-specialization in baseball is a major risk factor for throwing injuries. Rather than re-hash this, today we’re going to draw on the wisdom of coach and educator Paul Reddick, in what he says is a critical, but often-overlooked reason that young athletes – not just baseball players – should be playing multiple sports. But specifically, from Paul Reddick’s point of view, let’s discuss some major reasons young athletes should not specialize early. Paul explains in his video how he met a lifelong friend through a sport that he was – quite plainly – bad at. If players only stay in their most successful lane, limiting the pool of social exposure to other athletes, they’re limiting the amount of positive interactions and potential friendships they can develop. Takeaway: Kids may be missing out on amazing friendships they might develop when exposed to new people and experiences. We’re not talking about shortstop versus third base. Rather, Paul rightly argues that young athletes should be put in situations where they can be both successful and unsuccessful. This forces them to adjust their mindset as they learn to play supporting roles on teams. These roles can help young athletes better understand team dynamics and how even star players can contribute in unique ways. Takeaway: Kids should learn to support others and the team from different perspectives. This helps them understand how to not be the star in an organization, which they will need later in life. Athletes competing in only one sport year-round will run into long periods where they only train and don’t compete in games. This is a natural progression of in-season to off-season, but when players choose multiple sports, they can continue to learn how to compete and build mental toughness without burning their bodies out with repetitive motions. We all know champion professional athletes who have ice in their veins in the most pressure-packed situations. Paul Reddick argues that they didn’t develop this shooting free-throws or hitting off a batting tee, though both activities have their place. Rather, they learned to develop the eye of the tiger, so to speak, through regular competition and being placed in situations where they had to step up and be mentally tough. For athletes who play multiple sports, they’ll get more opportunities to do this in more unique ways. Takeaway: Early-specialization can rob a young athlete of the chance to compete more often with more unique experiences and challenges. Multiple sports provide the venue to be placed in more situations that require mental toughness for a larger portion of the year without increasing repetitive injury risk. Paul has some great advice for parents and players that we at EBP wanted to share with our audience. Check out the full video below from which this article was adapted, and be sure to leave us a comment if you agree or disagree! Dan Blewett is co-owner of Warbird Training Academy and the Warbird Senators Baseball Club in Central Illinois. A professional pitcher of six seasons, Dan specializes in pitching and strength and conditioning for baseball and softball players. He speaks to teams, schools and aspiring athletes, and writes for numerous fitness and baseball websites. His first book, Pitching Isn’t Complicated, was published in 2013. Visit Danblewett.com and follow him on Instagram @coachdanblewett for his unique take on training, baseball and sports. Get Dan’s Free eBook, What It Takes, filled with advice for players and parents on how to fulfill their dreams in baseball.